Patriarchy always puts women at fault, and gives men a pass. This story is no different. 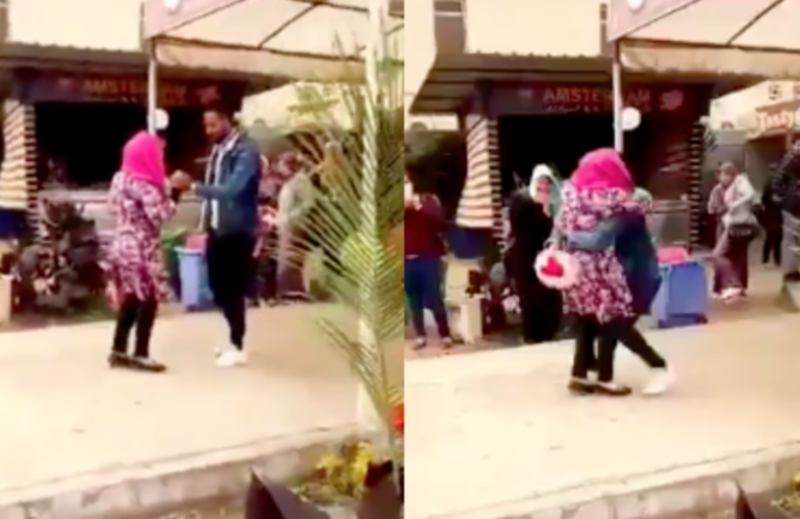 A female student was ordered to be expelled permanently for a hug after a proposal from a suitor. The male is also a student, and even though the hug was clearly mutual, he did not suffer a permanent reprimand as his partner did. That was reserved for the female student alone! Al-Azhar University, based in Cairo, Egypt, is viewed as a prestigious university. Their website boasts about the fact that they look “forward to being the leading university worldwide for presenting the correct Islamic thought based on moderation,” whilst aiming to “achieve excellence and eligibility in education and scientific research..in a climate rich with…equality.” Lofty ambitions to be proud of. Unfortunately, it seems that underneath the responsibility of overseeing the education of young minds in a supposed climate of equality, there still exist administrators who can’t open their minds enough to look beyond the clutches of their own patriarchy. And yes, I’m aware that the expulsion of the young woman in question was reversed after much uproar, and yet, the point here is that women still get the bulk of the blame in situations. How can it be that even though both students were involved in the hug, only one was cited to be expelled permanently? True interpretations of Islam offer women protection. In this situation, it seems that the university chose to punish the young girl, giving her career and future career prospects less importance. Is it because men need education, and women don’t? Islam certainly teaches otherwise. Aisha, may God be pleased with her, was educated! So was Khadijah, may God be pleased with her. Both were extraordinary, outspoken, intelligent women. Then why is it that Islamic institutions seek to punish women, and protect men? This university, that prides itself on being an Islamic institution, was on the verge of getting away with such ridiculous behavior. If there’s going to be punishment for something as petty as this, then both parties must be treated equally. This, of course, overlooks the fact that punishing anyone for physical contact by threatening to ruin their future is ludicrous to begin with. But for argument’s sake, let’s just ask, why order a harsher punishment for the female student? Maybe they want to deter women from going to university? To show them that, no matter what, women will always be at fault, so they better tread carefully. Or, perhaps the message they wished to convey was, “stay home and be caregivers because it’s a man’s world, and men will always run it.” Is this the message this university is trying to send? I certainly hope not, because this narrative is sadly misguided. I pray that the way this situation originally went down is the misjudgment of one individual, or a select few, and I ask Al-Azhar University to please reflect upon their actions as a faculty, and as an Islamic institution, to avoid blunders like this in the future. If you don’t show fairness, as Islam has instructed, then what are you teaching? How will God view your choices on the Day of Judgement? You are supposed to be a guide, but instead, you are misleading your charge and showing that women are deserving of harsher punishments than men. In reality, and as per the guidance of Islam, women are to be protected, and treated with respect and kindness. I am disappointed, and saddened that institutions which we had hoped would change the world, are actually making matters worse by victimizing women, and adding to the already gross problem of women being policed to a higher degree than men. I call on this university, and all universities that pride themselves on being Islamic, to take a stand against injustices like this. Islam does not teach unequal consequences, so please stop exercising your patriarchal views on women.